Shout Out to SafeFutures Youth Center! 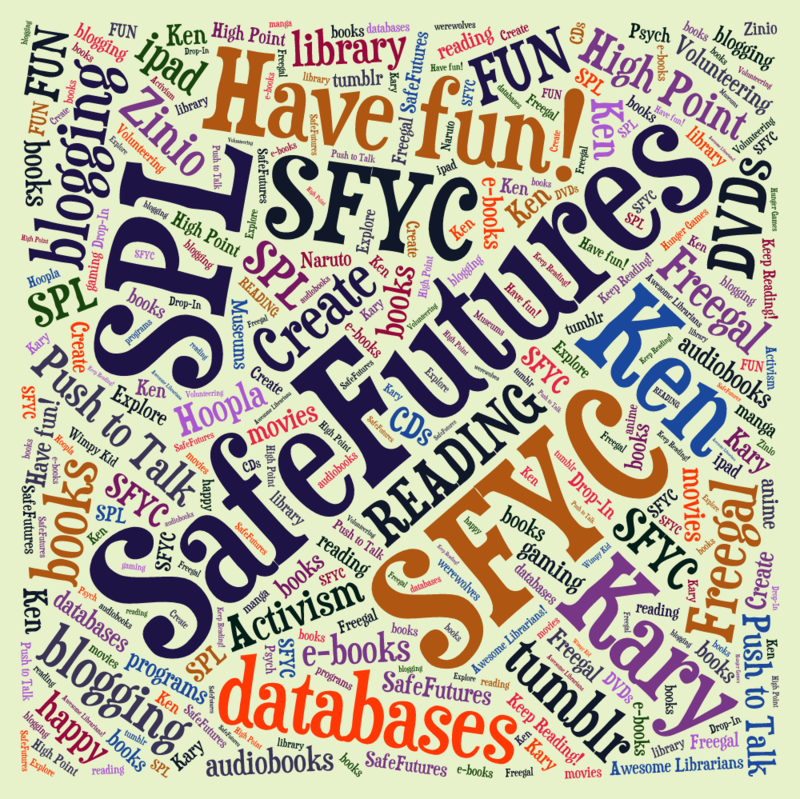 Hello to SafeFutures Youth Center! Today we’re talking about the services and programs of The Seattle Public Library. Thanks to Kary for hosting! Download five free songs every week through Freegal. They’re yours to keep, too! 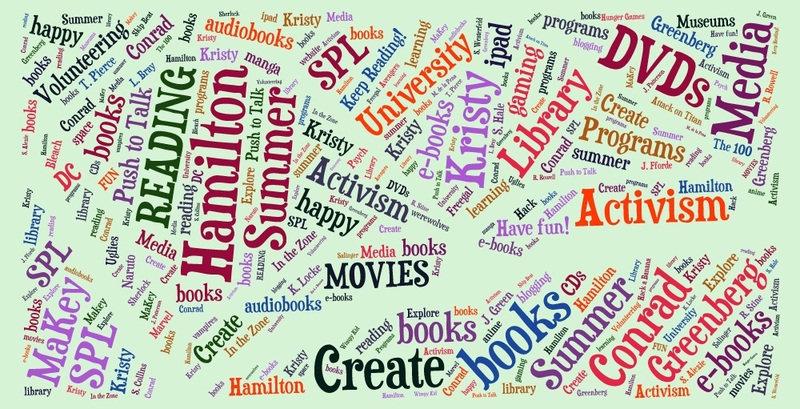 Hoopla is a streaming service that the library offers. See what music, video, and audiobooks they have today. This entry was posted in Careers, Community, Libraries, Library Links, School News and tagged school shout out, school visit, Southwest Seattle on December 16, 2014 by Shannon. School Shout Out: Hamilton Middle School! 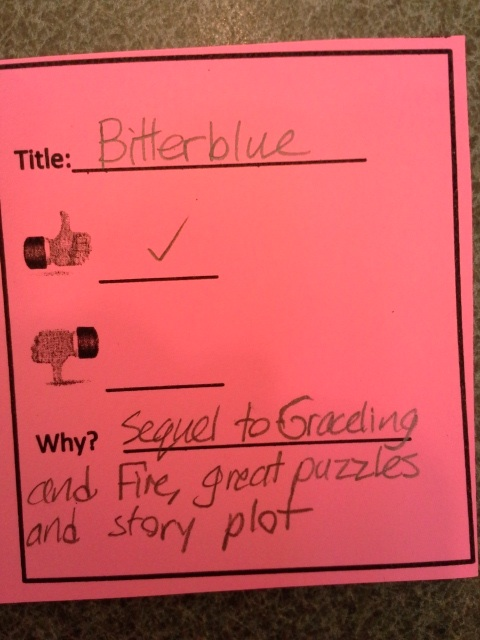 Do you want to read one of the books I talked to your class about? Click here to see the entire list of YA books with adult allure/adult books with YA allure. To review the Prezi presentation Click here! Don’t forget that our e-books and e-audiobookscollections are growing all the time. This entry was posted in Activism, Art, Community, Events, Libraries, Library Links, School News, Summer Reading Program, Technology, Watch This! 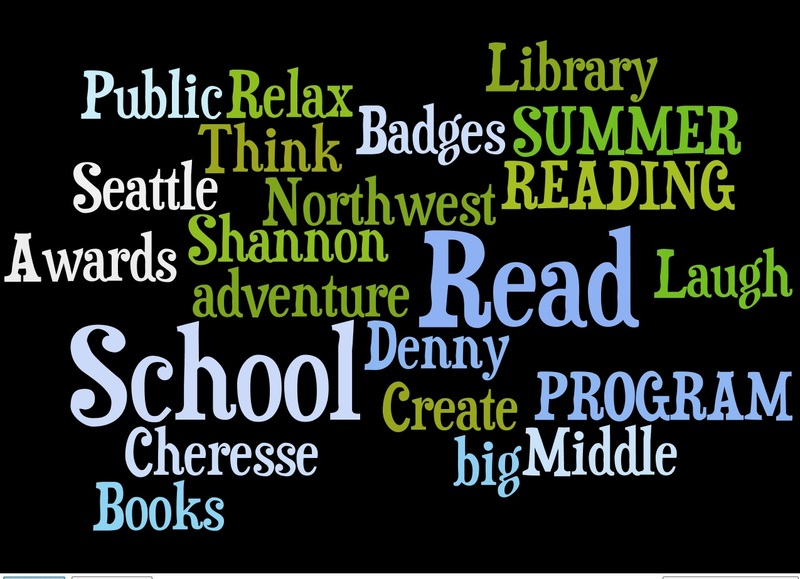 and tagged book suggestions, middle school, school shout out, school visit, Seattle, Summer of Learning, summer reading, Summer Reading Program on June 5, 2014 by Kristy Gale. Marty from Green Lake says Howdy! to the middle schoolers of St. Benedict, with a shout out to Ms. Lisi, the Media Center Specialist and all the students of St. Benedict! 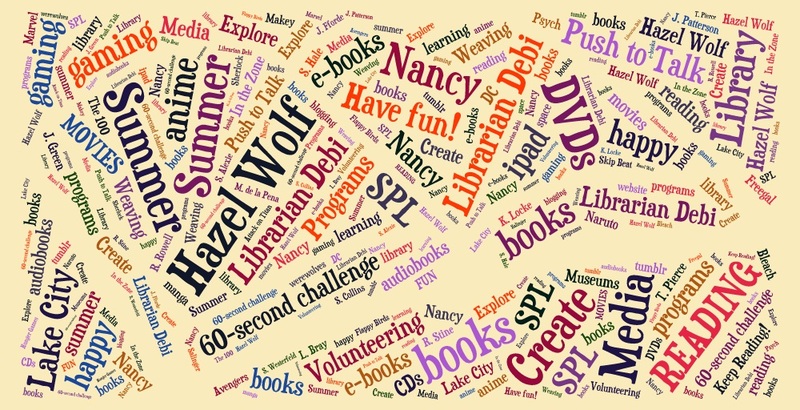 Have fun discovering databases, learning about Freegal and exploring the library website! Don’t forget about Homework Help…in-person (Northgate, Lake City & Broadview) and online. This entry was posted in Blog Love, Community, Library Links, School News, Seattle and tagged Databases, Freegal, school visit, Wallingford on September 18, 2013 by pushtotalkteens. Today Jessica from Northeast Branch visits Eckstein Middle School, with a shout out to Erin the school librarian and all the Eckstein students, and talking about all these great teen titles. This entry was posted in Book Lists, Community, School News, Summer Reading Program and tagged books, Eckstein MS, school visit, summer reading, Summer Reading Program on June 12, 2013 by pushtotalkteens. Shout Out to Hamilton International Middle School! The book that was reviewed the most? The Maze Runner. The books that got the most negative (thumbs down) reviews: The Great Gatsby and Pride and Prejudice. This entry was posted in Book Lists, Community, School News, Summer Reading Program and tagged books, Hamilton MS, school visit, summer reading, Summer Reading Program on June 10, 2013 by pushtotalkteens. Today Cheresse from the Southwest Branch is visiting Denny Middle School and Shannon from the Central Library is visiting the Northwest School. We’d like to give a big SHOUT-OUT to all the students in both schools. Cheresse will be talking about the books on this list, and Shannon’s can be found here. Now that you know our favorites of the year, what are you going to read this summer? This entry was posted in Book Lists, Read This!, School News, Summer Reading Program, Tidbits and tagged books, Denny MS, Northwest School, school visit, West Seattle on June 7, 2013 by pushtotalkteens.